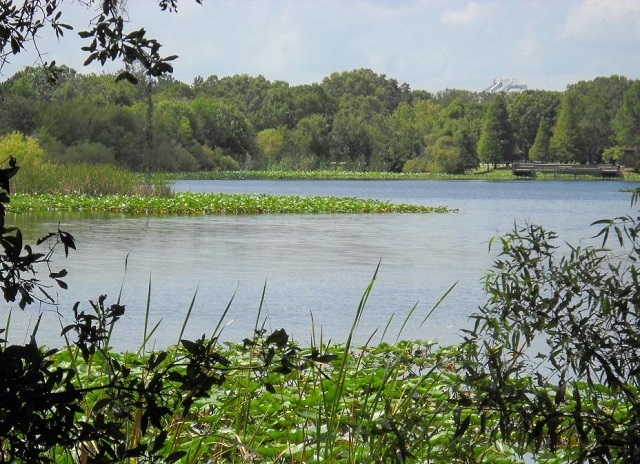 This small family friendly urban park north of the Tampa Bay Buccaneers’ stadium features two large ponds and two well-established trails which lead through hardwood hammocks and open grassy areas. A fishing pier on the north pond’s southern shoreline provides a great vantage point. Anhinga, Great Egret, Tricolored Heron and White Ibis are common on the ponds; less easy to spot is the Yellow-crowned Night-Heron, which roosts on the north side of the north pond. Wood Stork and Black-crowned Night-Heron are reported from time to time. Along the trails look for resident Downy Woodpecker, Great Crested Flycatcher (summer), Carolina Chickadee and Tufted Titmouse. During spring and fall migration you may spot wood-warblers like Ovenbird and American Redstart plus Yellow-throated Vireo, Scarlet Tanager and Indigo Bunting.